A bite of cucumber with a sprinkle of salt instantly brings back summer memories. My mom would bring us cucumbers cut in spears with a few drops of vinegar for a snack all summer long. And what is cooler and lighter than a summer cucumber? 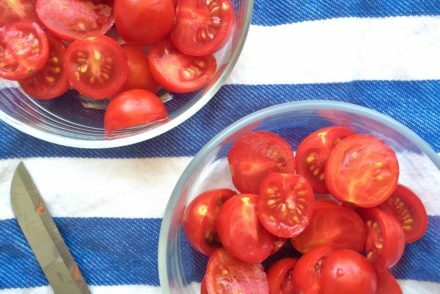 With that in mind this is the easiest summer salad you will ever make and the lightest. 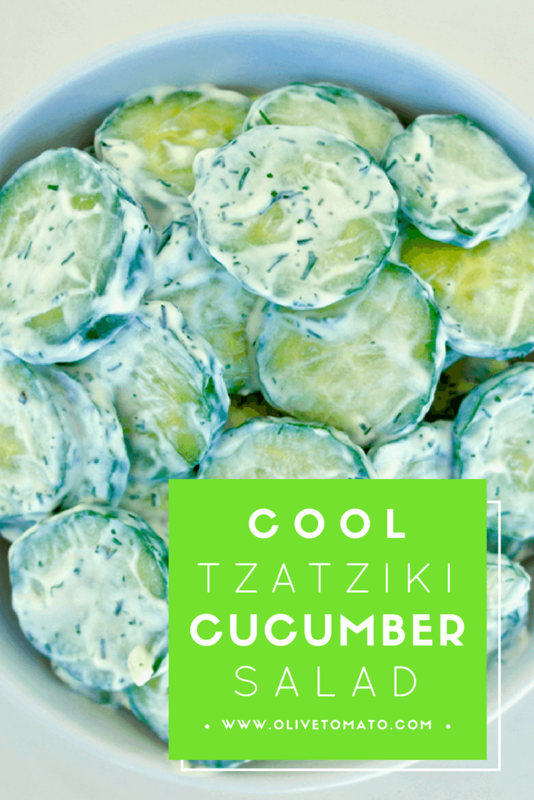 It combines a light version of the most popular Greek dip tzatziki, with cucumbers. 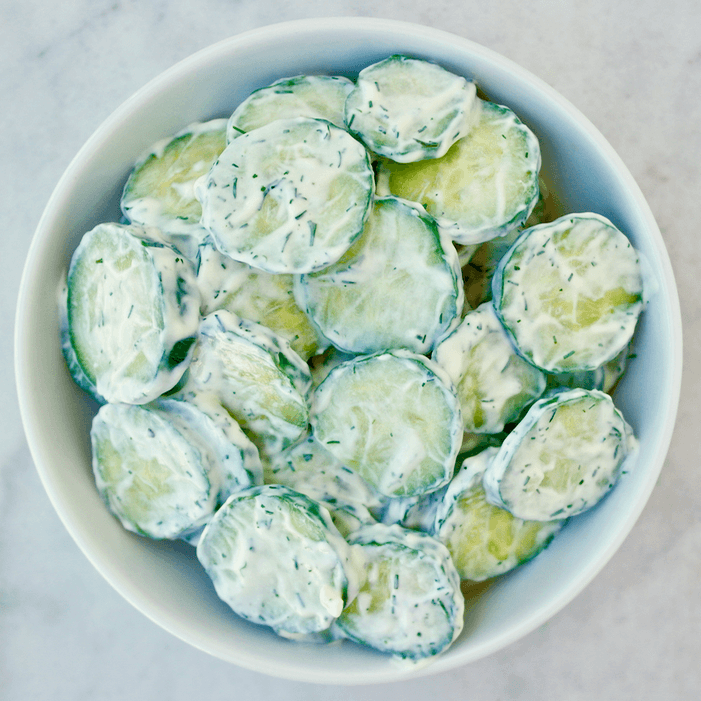 This cucumber salad is perfect as an accompaniment for any summer meal, especially barbecues. 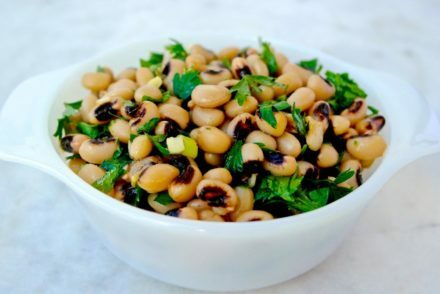 The salad is ideal with the heat, refreshing and no cooking or boiling is required. This salad also is kind of like a tzaztiki version of a salad. More cucumbers, but that touch of garlic and dill really gives it that punch. It pairs well with all meats but also with grilled fish and seafood. Or you can use it as a topping on some whole wheat crackers or paximadia (rusks). Nutritionally, cucumbers are considered by many as a vegetable that does not have much nutritional value, but that is a misconception. It is very low in calories and has a high water content, in fact almost 95% of a cucumber (by weight) is water, making it an ideal food for hot weather. Let’s not forget that about 20% of our water intake comes from fluids in foods (mainly fruit and vegetables). But apart from calories and fluids, cucumbers are a good source of vitamin K, beta carotene, vitamin C and magnesium. They also contain phytochemicals, plant substances that have protective properties. Also, it is noted that the seeds and peel of the cucumbers is where most nutrients are located so choose medium to small cucumbers for smaller seeds and wash them well as you won’t be removing the skin. And please don’t remove the seeds either. I would avoid varieties that have no seeds as you would be missing out on some of the nutrients. 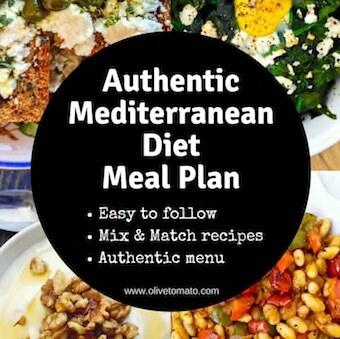 This salad contains Greek yogurt, I use whole fat as the rest of this salad is pretty light and a thick rich yogurt is needed to balance it out, however it will still be low in calories. 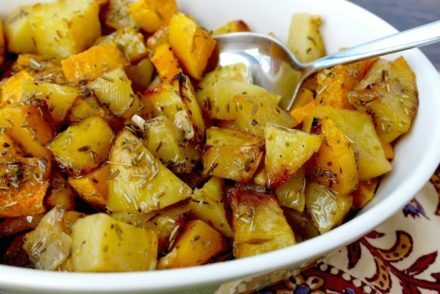 This salad is best consumed cold and right away. However, I make the yogurt dressing ahead so that all the ingredients have had a chance to meld and when ready to serve I mix in the cucumbers. In a bowl mix well all the ingredients except the cucumbers. Cover with plastic wrap and place in the refrigerator for an hour preferably. When ready to serve, wash cucumbers well (you won’t be peeling) and cut in thin slices (about ¼ inch thick). Place in a bowl and mix with the yogurt dressing, until all cucumbers are coated with the dressing.